We offer the fastest acne clearing solutions that work without drugs, or harsh topicals that keep you irritated and broken out! Cystic, Hormonal, Heat, Stress, Diet, Acne all respond quickly to our protocols. For the Best Acne Clearing Facial, Book our LED Glow Facial under Specials. – Book it today here! Why do LED acne treatments work so fast? Because LED light treatments penetrate beneath the skin and target acne bacteria where it lives and thrives, in your pores. Watch how Blue LED targets acne bacteria. The science and proof are in with our success on acne. Since 2007, we have been perfecting protocols that work! 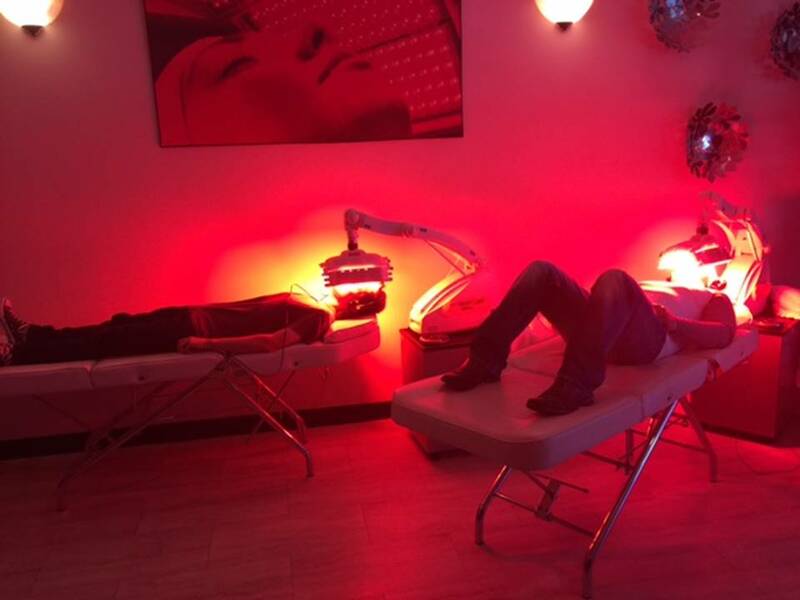 For both young or older, LED light treatments fix acne issues fast. If you are someone who is being affected socially from your acne, we understand. Acne is a disfiguring, embarrassing disease. Clients who once stayed home on weekends or avoided special events are now participating in life again! Bad skin in not keeping them home anymore! Sadly, we are finding drugs for acne really don’t work on. We see it everyday. Clients who have tried everything walk through our doors daily, very frustrated. Many have very raw, irritated, red skin that is over dry and aggressively still breaking out. 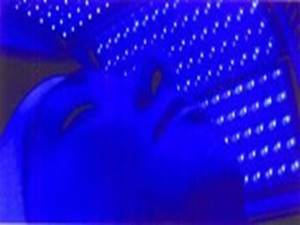 LED light treatments for acne are calming, soothing and very healing to the skin. Within days you see changes in your skin, most importantly, your face stops hurting. Over 85% of the population between the ages of 9 and 24 suffer from acne. One in four adults between 24 and 44 are still suffering from it. In addition, acne can start as late as your 20’s and 30s’s. Why are the numbers so high? There are many factors involved with your acne: Genetics, Hormones, Stress, Heat (summer) Lack of Sleep, Bad Diet, and Dehydration to name a few, can all contribute to your acne. See our Acne Triggers Page for more details. If acne is showing up on your face, arms, chest and back we have fixes, fast fixes! 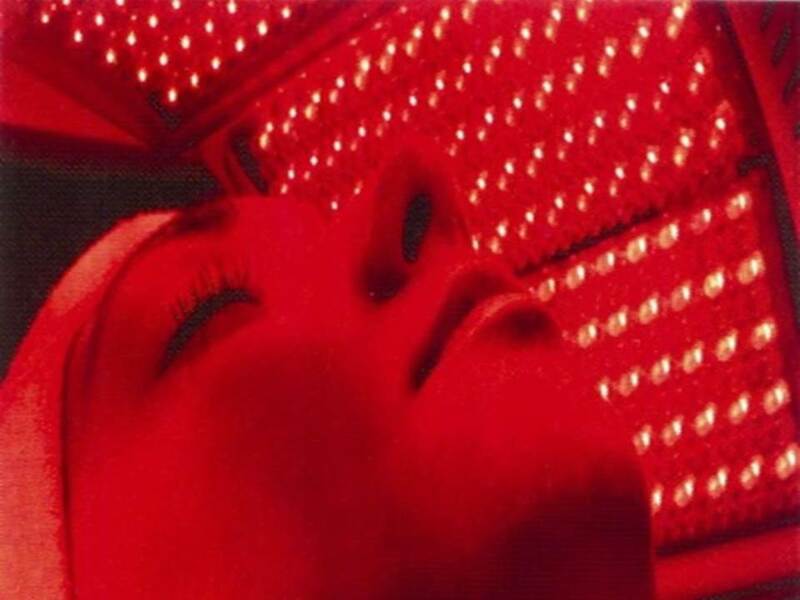 Imagine no down time, no pain, no irritation, and yes you can go in the sun after an LED treatment. Our protocols shrink oil glands, kill acne bacteria below the surface of the skin. In addition, you’ll see blackheads clear out and even scarring fades away over time. Yes, you can imagine your skin evening out. Healthy, calm, acne free skin CAN be yours.